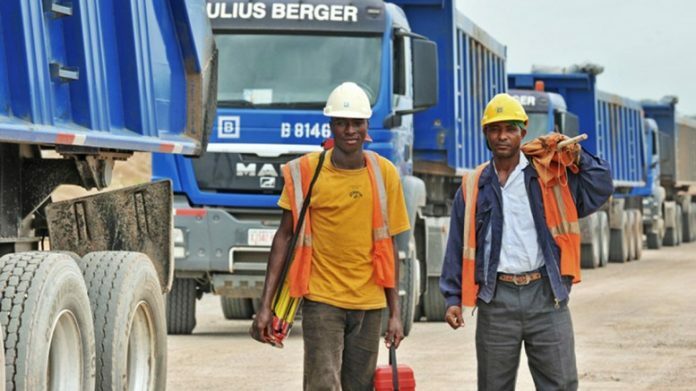 Julius Berger Nigeria PLC has once again won the coveted Building and Construction Sector Leadership award during the Top 50 Brands in Nigeria awards ceremony. This marks the third time that Julius Berger is winning this prize an indication of the company’s leadership position in the construction industry in Nigeria. The company which boasts annual revenues of about US$ 140 billion has been involved in some of the most significant projects in Nigeria such as the Lagos-Ibadan Expressway and the Apapa Ijora Bridge. Most recently it was awarded the contract to complete the Second Niger Bridge a project that has been dogged by controversy since it commenced a number of years ago. The company has several subsidiaries in various sectors ranging from healthcare, aluminium and steel, engineering design and of course building and construction. Recently Julius Berger was commended by the Foundation for Transparency and Accountability as a firm that maintains high operational standards astride global best practices. The firm is an NGO with offices in Nigeria. Recently the company made major changes to its board in which it appointed a new Managing Director Dr Lars Richter. Other award winners were Dangote Group which took the Most Valued Brand award.